Lyle & Scott is a brand steeped in history. William Lyle and Walter Scott started the company in 1874 in the small Scottish town of Hawick. It took nearly a hundred years to hit the fairways. When the brand did launch its first golf collection in the late 1960’s, the iconic Golden Eagle motif was born and quickly became the choice of fashion-conscious players. Look back at vintage photos of Arnold Palmer, Gary Player, Tony Jacklin (a few of the best dressed players in their era) and you’ll likely see them sporting a v-neck Lyle & Scott sweater. The brand also made inroads into Hollywood. A-list golfing celebs, Bob Hope, Bing Crosby, Sean Connery and Telly Savalas all rocked Lyle & Scott back in the day. My first introduction to Lyle & Scott was in the mid 1980’s. Greg Norman was dominating the world of golf with his aggressive style and play. Before Norman donned the shark logo, he stalked the fairways with Lyle & Scott’s Golden Eagle emblazoned on his chest. In 1986, he captured his first major at the Open Championship and hoisted the Claret Jug in a Lyle & Scott sweater that was just as bold as his play. All I knew was Norman was my favorite player and I needed a Golden Eagle on my shirts. Thankfully the country club where I worked stocked Lyle & Scott and more than a few paychecks were exchanged for the brand’s shirts and sweaters. For whatever reason, Lyle & Scott slipped off my radar in the 1990’s (probably because the entire world of golf fashion, or lack thereof, was stuck in a nuclear winter of pleated pants and baggy shirts for a decade), but the mid-2000’s brought about a revival for golf fashion and the brand. Lyle & Scott’s iconic polos and sweaters were, and still are, a perfect fit with the retro-contemporary movement. In 2009, the brand launched its club collection targeted towards the younger golfer. The Golden Eagle was traded for a Green Eagle and once again, Lyle & Scott was at the forefront of golf fashion. One look at the new Fall 2013 Collection from Lyle & Scott takes me back to my first experiences with the brand 25+ years ago. A bold 1980’s vibe weaves its way through the collection and is fused with a modern, street-savvy edge. You’ll even find some classic styles from the 1950s and 1960s. A palette of earthy blues, greens, and greys capture the colors of the season and complement each other, allowing for an effortless mixing and matching of various pieces. The combination of natural and performance fabrics provide comfort throughout the ever-changing temperatures of the season. Lyle & Scott started as a knitwear company, so that’s where I’ll begin this review. I received the Striped V-Neck Pullover in charcoal (shown below) for this review. Three things about this piece immediately grabbed my attention: (1) the bold stripes; (2) the fall colors; and (3) the attention to detail. Horizontal stripes are in vogue on the fairways these days, and this sweater brings an “I-see-your-horizontal-stripes-and-raise-you-vertical-stripes” attitude to the course. The mixture of light, dark and mossy greys is perfect for autumn and put you on-trend for the season. I’ve typically opted for merino wool sweaters, but the warm, breathable cotton of Striped V-Neck sweater is a nice option for the early autumn. 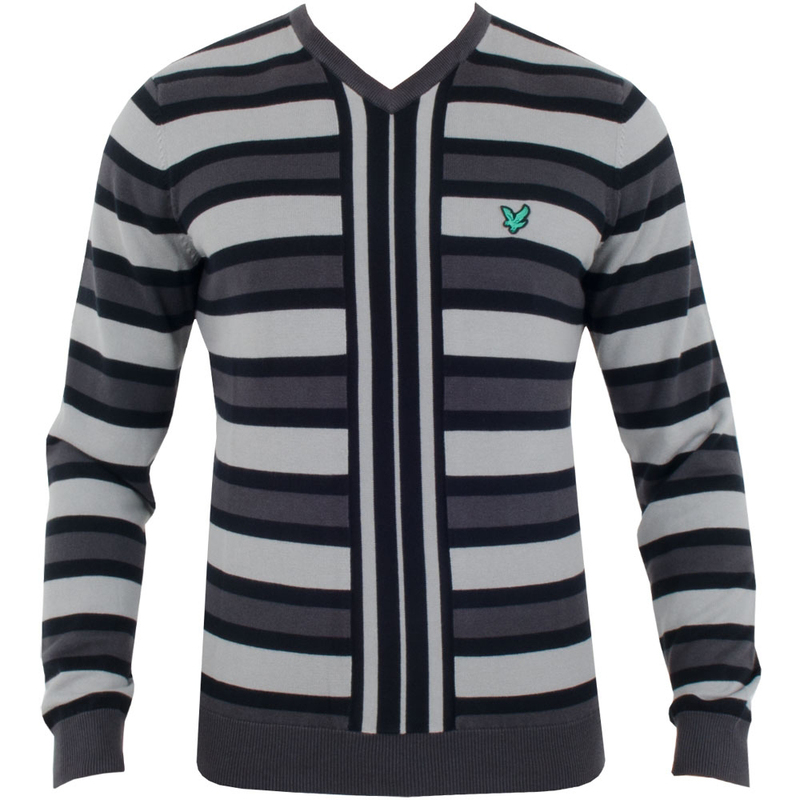 It’s easy to see an 80’s influence in the design of the Striped V-Neck sweater. This same influence works its way into the aggressive chevron design of the Ombre Pullover, while a traditional argyle pattern is found in v-neck and half-zip styles from Lyle & Scott this fall. 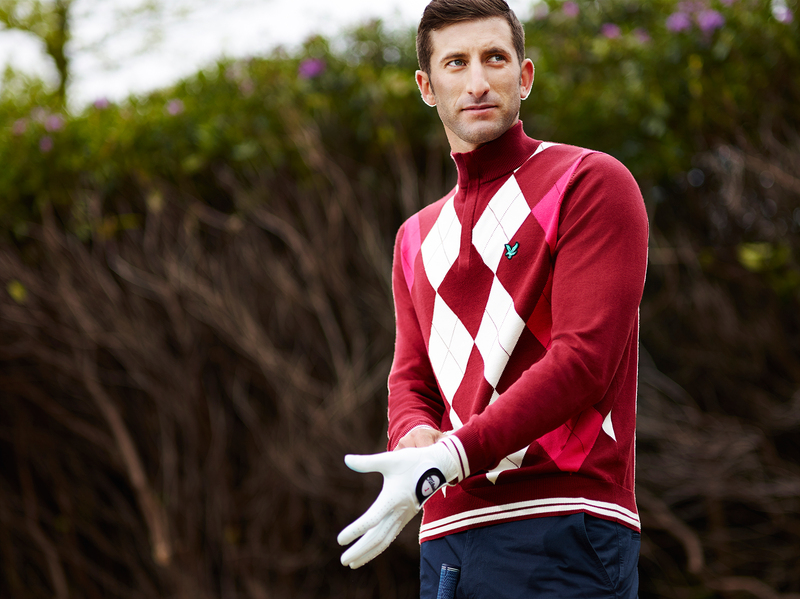 A simple, understated sweater is a staple in every golfer’s wardrobe and the brand’s Lambswool V-Neck fills this need with a classic style worthy of the Palmer, Player and Jacklin era. Over 30 different stages and as many as 20 hours of work go into making a Lyle & Scott sweater. This is clearly evident as the quality and attention to detail are top-notch. The Striped V-Neck has a rich, well-crafted feel that will likely last for years. The fit of the Striped V-Neck Sweater is exactly what I look for in a golf sweater — close-fitting through the forearms and body, but not restrictive. I found this sweater to be true to size, so order the size that you normally wear. The Striped V-Neck sweater maybe straight out of the 80’s, but the Striped Collar Polo (shown below) that I received for this review is a throwback to a few decades prior to the 80’s. This iconic-looking polo fuses a classic design with a modern fit and high-performance fabric. The crisp stripes on the collar and the banded cuffs add an edge to an otherwise basic polo shirt. My round with the Striped Collar Polo was the first time I had worn a shirt constructed of COOLMAX fabric. This fabric is said to regulate your body temperature. While I didn’t take my temperature throughout the round, this shirt performed as I would expect a performance shirt to perform. Even on a warm day and in a dark charcoal color, I felt cool and dry. The Striped Collar Polo has a very modern cut, which is right up my alley. It is slim through the body and the sleeves are shorter and narrower than many golf shirts on the market. (By the way, this is how a polo shirt should fit.) 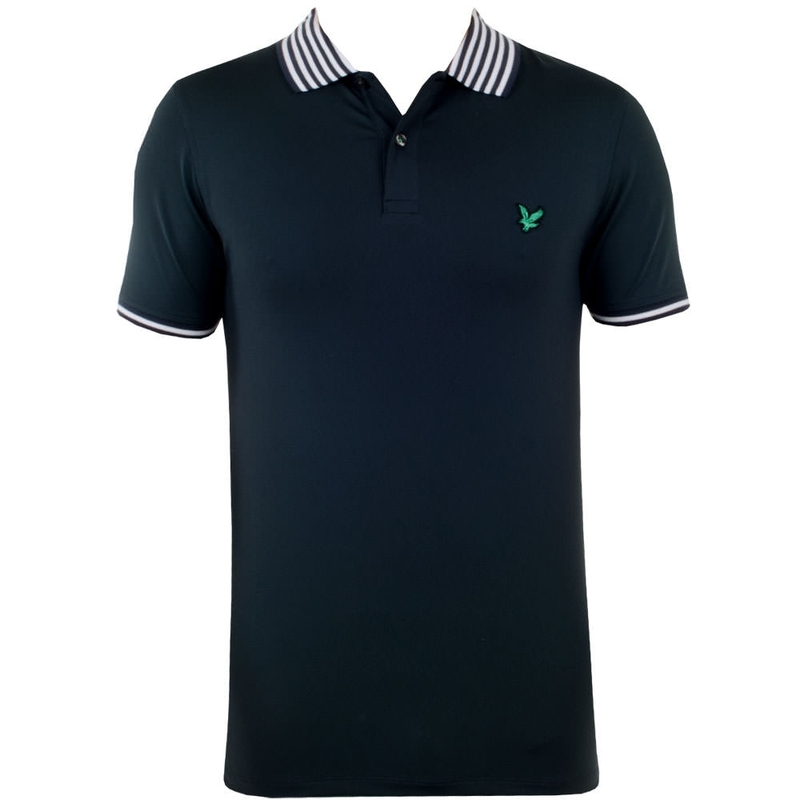 Lyle & Scott also added a touch of spandex to the shirt, so the slim fit doesn’t restrict movement. I did find that the Striped Collar Polo ran about a size small, so consider sizing up. Many of the shirts in the Fall 2013 Collection have classic designs and look like they would be right at home in the 50’s, 60’s or the modern-day (e.g. Tour Button-Down Polo and the Pocket Polo). The Ombre Polo shirt (shown below), on the other hand, looks like it is straight out of an 80’s time capsule. This shirt features the same retro chevron design as the Ombre Pullover and makes me wonder if I have the original somewhere in the back of my closet. One of the things I like about Lyle & Scott polo shirts is that they can go anywhere. They have the look of classic cotton polos and transition well through all your daily activities. They look just as good at the pub, the office or around town as they do on the course. There is something for everyone in Lyle & Scott’s range of pants for the fall season. Whether you are looking for the natural fabric of cotton chinos, technical fabrics to beat the elements, basic solids or trendy plaids, Lyle & Scott has you covered. Aside: For this review I tested the Classic Chinos in white. I’ve said this before. I’ve never really seen myself as a “white pants” guy, but the more I wear white pants the more I like them. If you’re like me, I encourage you to give white pants a shot. You may like the look. The Classic Chinos from Lyle & Scott (shown above and below) are not your dad’s pleated, baggy chinos. The tailoring of these pants is impeccable. 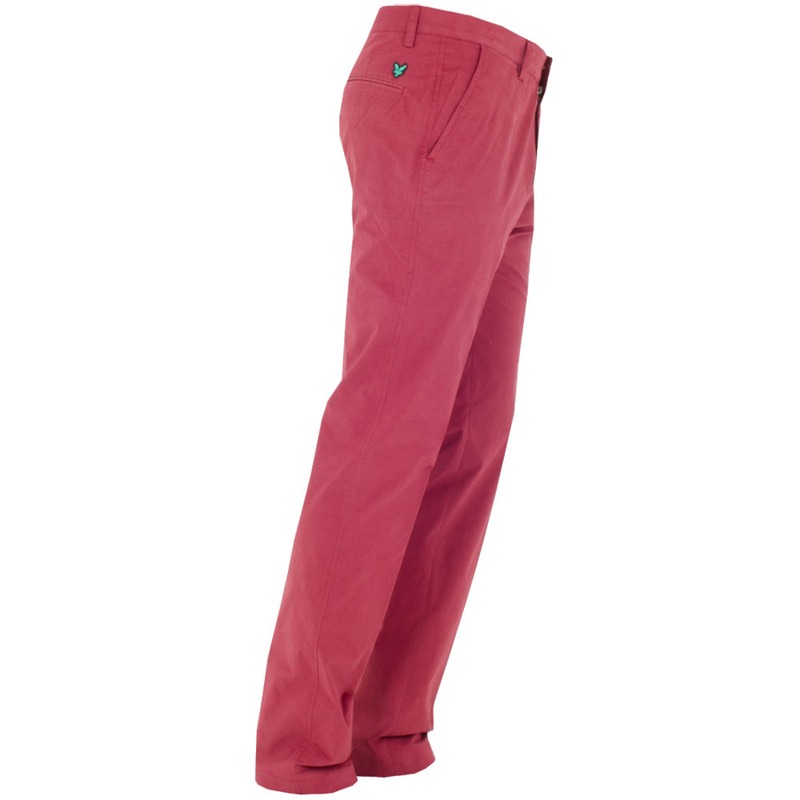 They are true to size in the waist, have a slim fit through the thighs and are tapered through the lower leg. The question with slim-fit pants is always whether they are too slim when crouching to read putts or bending to put a tee in the ground (I don’t think I need to go into details). Even though the Classic Chinos are 100% cotton, I found that they had good movement through the hips, thighs and knees (in other words, no wardrobe malfunctions). The Classic Chinos are a refreshing change of pace from all the technical fabrics we wear on the course these days and I found that they performed best in dry conditions. If you are partial to performance fabrics, check out Lyle & Scott’s Technical Stretch Trousers made from a cotton/thermacool/elastane blend. The Classic Chinos and Technical Stretch Trousers are available in a variety of solid colors that complement the assortment of polo shirts and sweaters in the collection. The grey and blue Tartan Check Trousers offer a perfect plaid option for the season and add a touch of fun to your round. Cloth belts have been a huge trend on the fairways this year. 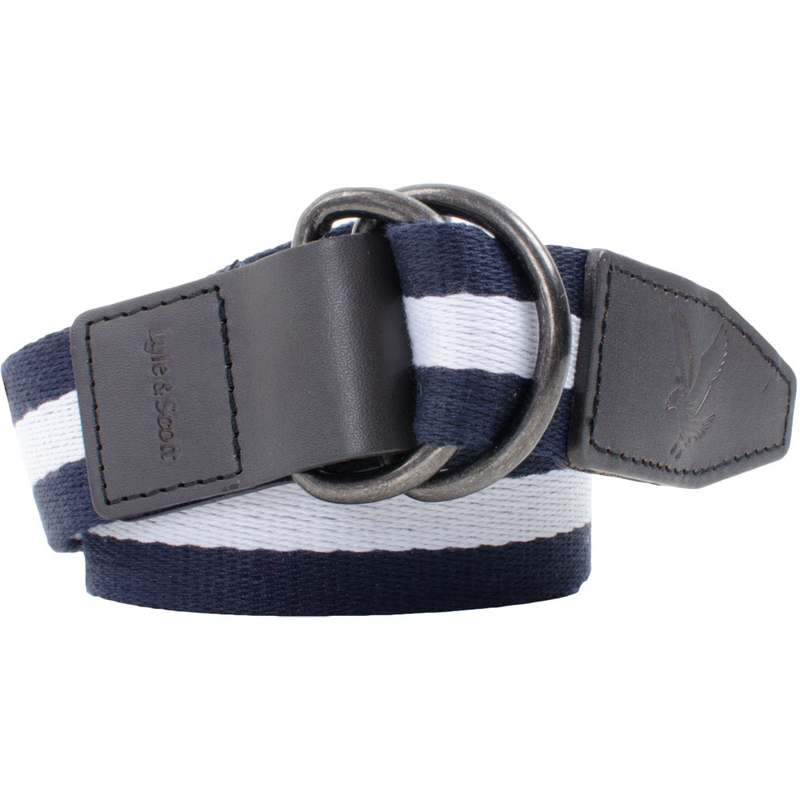 Lyle & Scott helps you complete your look and keep you on-trend with the 3-Stripe Canvas Belt (shown above) that pairs well with the brand’s trousers and polo shirts. If you are a fashion-conscious player, then Lyle & Scott is a brand that should be on your ‘must-try’ list this fall. 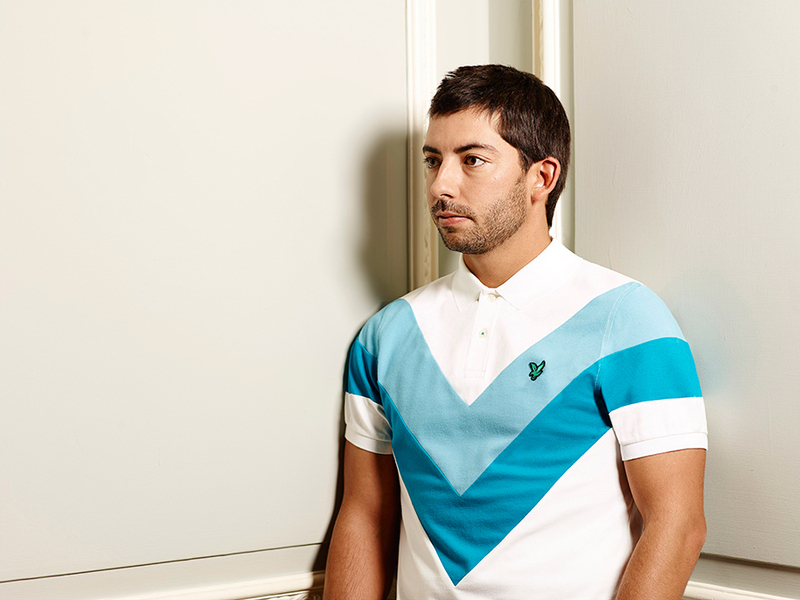 The brand is worn on professional tours by Pablo Larrazabal, Seve Benson and Andy Sullivan. You can also follow the brand in the social media world on Twitter, Facebook and Instagram. 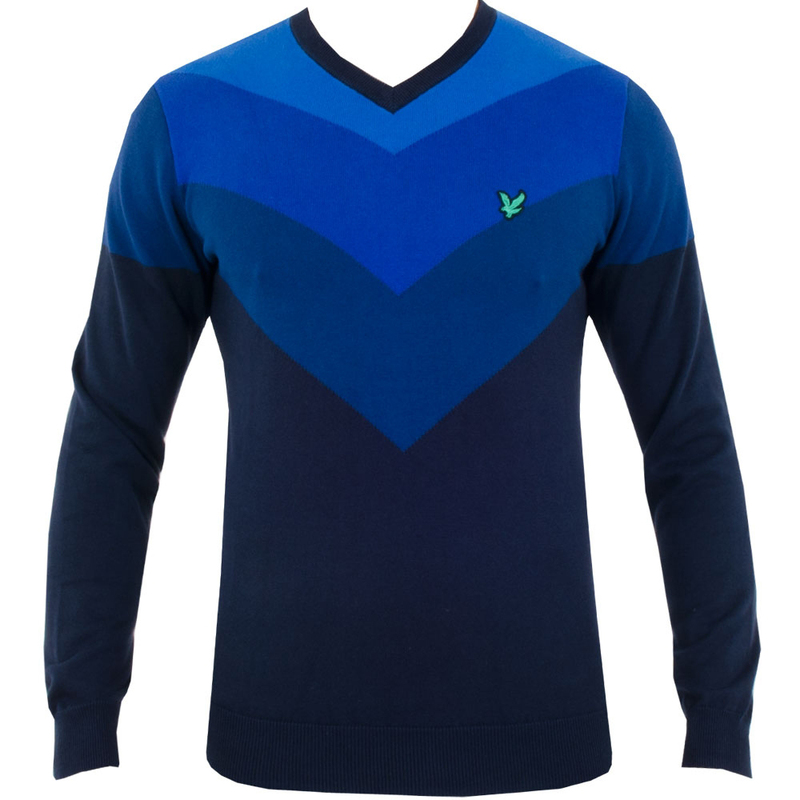 Lyle & Scott apparel is available at TrendyGolf.com.